Tesla's workplace environment has been called into question time and time again. Some rather unflattering workplace news has surfaced in regards to Tesla Inc. (TSLA - Get Report) . The automaker has been taking an all-out approach to meeting its Model 3 production targets at the end of June. 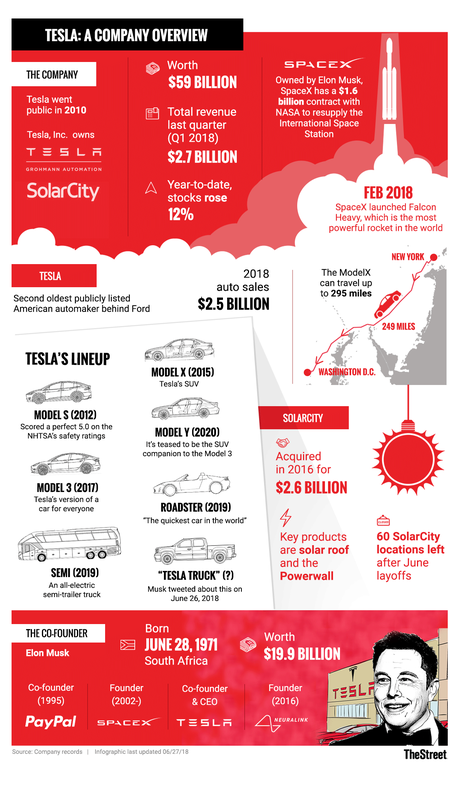 The company did in fact eclipse the 5,000-a-week mark during the last week of the month, but some are questioning Tesla's practices to get there. Recent reports talk about 12- to 16-hour shifts at times, where workers look like zombies. Another report says that a handful of employees had to walk through raw sewage in order to "keep the line going." Perhaps the most glaring revelation came from November 2016 (a while ago, but unknown until this morning), where a worker was goofing around on a forklift and ended up injuring another employee. Tesla says both employees were horsing around, although the injured one ended up having his leg amputated as a result. State agency Cal/OSHA fined Tesla $800 for what they described as a fractured ankle. They also did not speak with the injured worker. That's an interesting assessment, unless of course a fractured ankle is equivalent to a surgically removed leg in these parties' eyes. Tesla says it's not aware that management had workers walk through sewage. It also argues that the company tried to arrange an interview between the injured worker and Cal/OSHA. It should also be noted that earlier this year, the Center for Investigative Reporting said Tesla was classifying some work-related injuries as personal medical injuries. Despite reclassifying 13 injury reports from last year, Tesla argued these allegations as well. To be fair, an automotive production plant with tens of thousands of employees is bound to have accidents, injuries and issues. It would be near impossible to have an injury-free environment. We don't hold General Motors Co. (GM - Get Report) , Ford Motor Co. (F - Get Report) , or Toyota Motor Corp. (TM - Get Report) to these standards and Tesla shouldn't be any different. Additionally, there are always two sides to every story. For its part, Tesla did enact increased safety training after the forklift incident and CEO Elon Musk spoke of Tesla's improving safety environment during the company's annual meeting in June. He says Tesla is now below the industry average for injury rate and that the company's goal is to reduce its injury rate by another 50%. Of course, some of the tactics outlined above may make some investors question how accurate Tesla's self reporting is. Worth mentioning is that Tesla is not a part of the United Automobile Workers (UAW) union and not surprisingly, the two have disagreed about Tesla's course of action. Musk has said his company's workers could unionize if they want to, but even that's been up for debate. So what does the whole thing boil down to? It's very likely that Tesla was a dangerous environment in the past. Some even said Tesla was less safe than a slaughterhouse. But it's also true that Tesla's safety standards have improved and that it's workplace is safer than before. But remember that Tesla is still a young automotive company. It's trying to now produce 20,000 Model 3s a month, a vehicle that Tesla essentially wasn't producing a year ago. Throw in the company's higher use of manual labor vs. its plans for automation, and the fact that Tesla put together a third assembly line under a tent, and the safety concerns seem warranted. Particularly with Tesla's past. Again, all of this seems to be improving. While still far from ideal, surely stepping through sewage (if true) is less of an ordeal than having one's leg removed (even if it was the result of his horsing around rather than a company-caused misstep). But these lessons and mistakes are likely to add up over time, both financially and reputation-wise. That's a blemish Tesla won't want on its record.